At Vibe Ride, our primary goal is ensuring that every one of our members gets in a great workout and has an awesome time while doing so! For those of you who are Vibe Ride or indoor cycling regulars, you may already know a lot about indoor cycling. 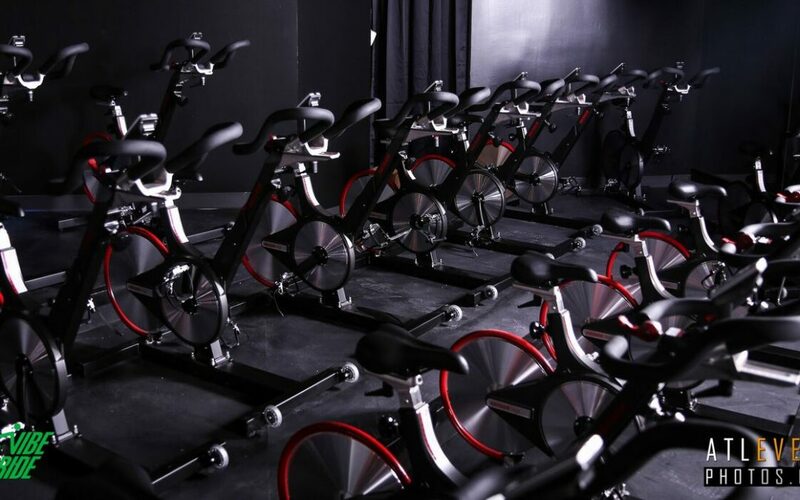 But, if you are on the fence or if you are just looking to learn more about the world of indoor cycling, we are sharing some of the most important, and exciting, things you may not know about indoor cycling. One of the interesting things about indoor cycling that may not be known to all is that you are in control of your workout the entire class. Even though you are being lead and motivated by a fitness coach, you ultimately decide if you want to increase your gear, up your speed or add in a funky upper body movement. While some participants prefer receiving instruction from an indoor cycling professional, others know what their specific goals are and use those instructions more as a guideline for the class. The flexibility of indoor cycling lets you decide what kind of a workout you get and, as mentioned above, helps this type of exercise appeal to all skill levels. While most people know that indoor cycling is a great way to torch hundreds of calories, many may not know that it can also strengthen your muscles. Increasing your RPM, or rotations per minute, is a great way to realize the cardiovascular benefits of an indoor cycling workout. If you are also looking to strengthen your muscles though, you can start by increasing your bike’s resistance. An indoor cycling bike’s resistance is what makes it feel like you’re riding on a flat road or going up a huge hill. If your indoor cycling class is too easy or if you are simply looking to strengthen those leg muscles, adding resistance to your bike will help strengthen your legs and your core. Further, several indoor cycling classes are starting to incorporate light-medium dumbbells into their routines, helping you strengthen those upper body muscles as well. We hope these facts about indoor cycling will help you start, or continue to, be involved in the indoor cycling community. Once you understand these pieces of information we also invite you to share them with your friends and family as we would be happy to welcome them to our Vibe Ride fitness community!